Larger birds, like pigeons, seagulls and crows land in areas where they are not wanted, creating a mess and an unsanitary environment. Ledges make the perfect landing spot for birds to roost and look for food and predators. They leave behind a nasty mess of bird droppings, however. Deter birds from landing on ledges with polycarbonate bird spikes. Plastic bird spikes work well to keep birds away by creating an uneven surface, making it impossible for birds to land on the treated area. The spikes are humane and will not harm the birds. Polycarbonate bird spikes work on flat or curved signs. Choose from seven colors: clear, white, tan, grey, brown, black and brick red. Plastic spikes are available in different spike widths: 3”, 5” and 7” to cover different ledge and surface widths. Since the spikes come pre-assembled in two foot strips with pre-drilled holes along the base, installation is fast and easy – cutting time to install in half. Plastic spikes can be glued or screwed to most surfaces. Bird-B-Gone polycarbonate spikes are manufactured in the USA and carry a five year guarantee. Every year thousands of protected migratory birds die in tailings or detention ponds used for industrial waste or filtering. Tailings ponds may contain bitumen, polycyclic aromatic hydrocarbons, volatile organic compounds, naphthenic acids, brine, heavy metals, and ammonia—substantaces that are harmful, even fatal to birds. Heavy Duty Pond Netting is a humane bird deterrent solution that will solve this problem. Properly installed, pond netting creates a physical barrier that prevents migratory birds from landing in toxic tailing ponds or other water collection sites. The bird netting is stretched over these areas to prevent bird deaths. Heavy Duty Pond Netting is made from a durable, UV stabilized Dupont® knotted mesh nylon and meant for prolonged use in harsh chemical environments. 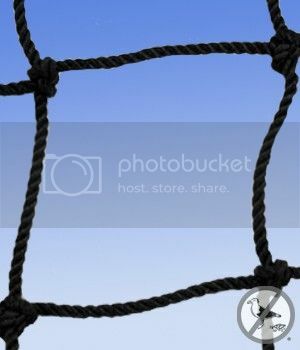 The bird netting comes in large stock sizes and custom cuts. It’s available in several mesh sizes–from 3/4-inch to 4-inch–to exclude a variety of large and medium sized migrating birds. To streamline the proper installation of pond netting, bird control experts recommend the use of perimeter cable and accompanying mounting hardware. Bird-B-Gone offers an extensive line of bird netting hardware, which includes turnbuckles, hog rings, accessories, tools, cable crimps and perimeter cable. For best bird deterrent results, the cable should be set up around the area to be netted off. This ensures that there are no gaps for birds to sneak through, and that the netting stays taut and does not slouch. Once installed, the netting is virtually invisible and maintenance free. Pest birds can also literally drive away customers, swooping down on them from the elevated perches of your store. No one likes to visit a store where birds are dive bombing them as they try to enter or leave. There’s also the nuisance of bird droppings, which can cover everything from windows, awnings and canopies to signage, doorknobs and walkways. The solution, of course, is to employ some sort of bird control. One of the best bird control measures available today is bird spikes. 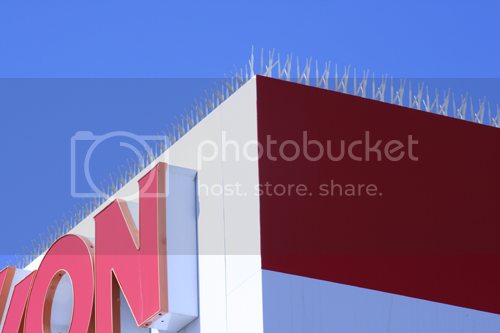 Recommended for pigeons and other large birds, bird spikes have been used by thousands of store owners nationwide. They are easy to install and, in some cases, blend in with their surroundings to make them practically invisible. Bird spikes remain an effective pest bird deterrent because they prevent pest birds from landing. No bird wants to get its wings tangled in a splay of nasty looking spikes. Better to simply find another, more bird-friendly landing area. Rest assured, the blunted spikes are safe and won’t harm our fine-feathered friends–they have been approved by a number of humane groups worldwide, including the U.S. Humane Society and PICAS (Pigeon Control Advisory Service). Bird spikes come in strong, rigid polycarbonate or flexible stainless steel. Stainless steel bird spikes are available in 3-, 5- and 8-inch widths to cover areas up to 8 inches wide; plastic spikes come in 3-, 5- and 7-inch widths to protect areas up to 7 inches wide. The best spikes will provide many years of dependable deterrence, for they are made of marine-grade stainless steel and feature a U.V.-protected polycarbonate base. Some bird pikes come with a non-reflective metal finish, which means they won’t stand out on your roofline or parapet wall. You can even get spikes in a variety of colors to match your store’s signage, awnings or fixed canopies. Available colors include white, tan, gray, black, brown, brick red and crystal clear. 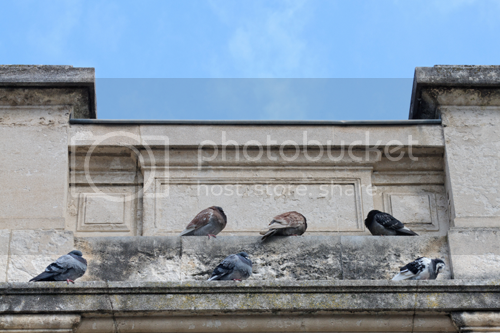 Pest birds often gather in rain gutters. In this case use Gutter Spikes. These specially designed bird spikes will keep pest birds out of your rain gutters. The spikes feature adjustable clamps at the base, which makes it easy to install them to the lip of a gutter. Birds often land and roost in areas where they are not wanted. If you or your customer has a bird problem in an area where visual appearance is important, a bird repellent that is less conspicuous might be a good solution. Bird Jolt Flat Track is a physical bird deterrent that is virtually invisible, making it perfect in areas where visual appearance matters. Bird Jolt Flat Track conditions birds to stay away from unwanted areas by giving off a mild electrical shock when they attempt to land on the treated area. The shock will not harm birds; it alters their behavioral patterns to associate the unpleasant feeling with the treated area, causing birds to stay away. 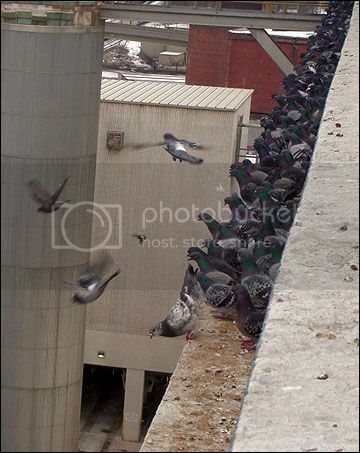 The system will deter any size bird and works on buildings, signs, eaves and most high-profile areas birds land and roost. This electric track bird deterrent system has multi-patented anti-arcing and glue through designs. Bird Jolt Flat Track is and now available in six different colors, –clear, grey, stone, black, terracotta and target red– to match most building materials.